3. Heat the oil in a large pot. 4. 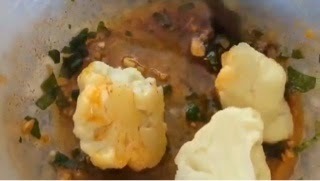 Make the oil mixture; stir together 4 tbsp oil, mashed garlic, salt, parsley and paprika powder. and than in the egg. 6. 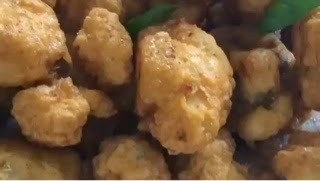 Fry the cauliflowers goldenbrown.